Aizawl, Dec 6 : Sugar scarcity has hit Mizoram hard and the crisis is bound to affect the Christmas parties in this Christian dominated hill state. December is one month where jubillees and conferences of both social and Church organisations are held and the scarcity of sugar has already affected the Mizoram Synod Conference. Meanwhile, in a scathing attack on the Congress Government's inability to bring sufficient supply of sugar in Mizoram during this Christmas season, Mizo National Front (MNF) strongly castigated the government for its laxity to undo the sugar crisis. The Congress government had reportedly claimed the reason for its shortage as insufficient fund. MNF in its press statement today said that there is an acute shortage of sugar in the state after the Central Government imposed ban on the supply of sugar through PDS (ration). 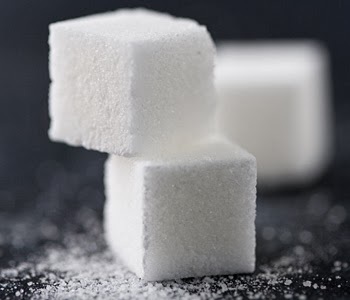 Almost every household especially financially poor families and Churches and organizations have been facing shortage of sugar supply ever since the central banned its supply. "The crisis has severely affected many big functions as it has been witnessed in the ongoing Mizoram Synod Conference, because sugar is one of the essential needs of public in a gathering. It is also likely to affect Christmas and New Year celebrations", the statement said. The Central Government, according to the statement, after banning the supply of sugar through PDS, has served notice to all state authorities to purchase sugar from open market. Pursuing the central notice, Govt. of Mizoram subsequently issued a tender notice for the supply of sugar. The tender then was given to one private firm in Guwahati which was the lowest bidder of all. "Inspite of all these initiatives, the government could not be bring adequate supply of sugar due to deficit fund", the MNF statement added. "It is therefore, very disappointing that the government remained in such incompetent state of not capable to purchase the essential commodity and this inability has evidently indicates the unreliability of the Congress government", the MNF statement read.